It was great to be invited to submit yet another of my gardens to the Weekend Australian for publication. The style is contemporary reflecting the design of the Klopper Davis home it adorns. Referencing the butterfly roof, I introduced similar curves to define both the rear courtyard and the entry roof garden. 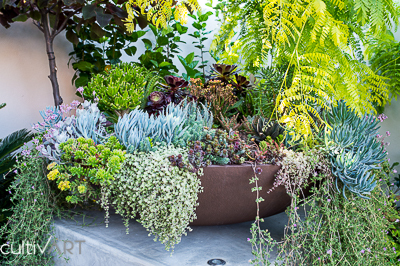 Read about the design process in the article and for more photos see this garden on Houzz. 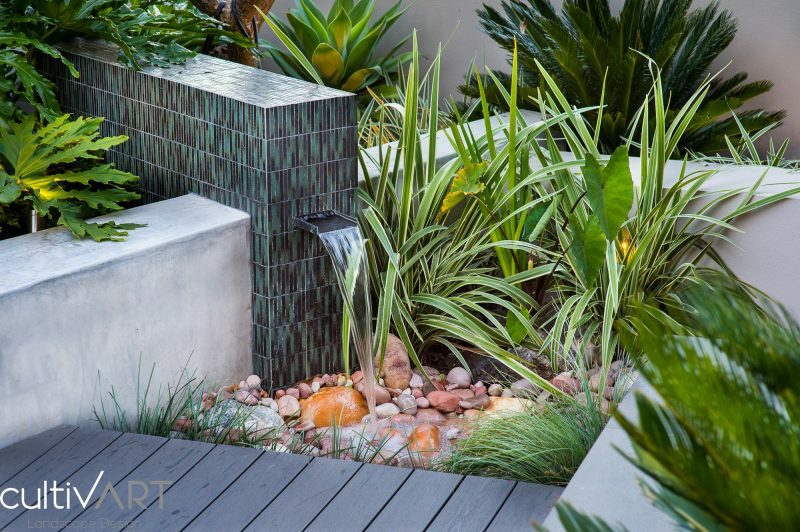 (download the article) Another example of what is possible when designing dynamic small outdoor spaces. Thank you Helen Young for writing such a great article. 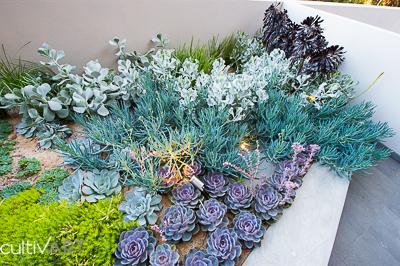 This garden covers all bases with an indigenous verge planting and front garden, a tiled walkway leading to a roof garden planted with succulents and then a gorgeous layered courtyard entertaining space to the rear. 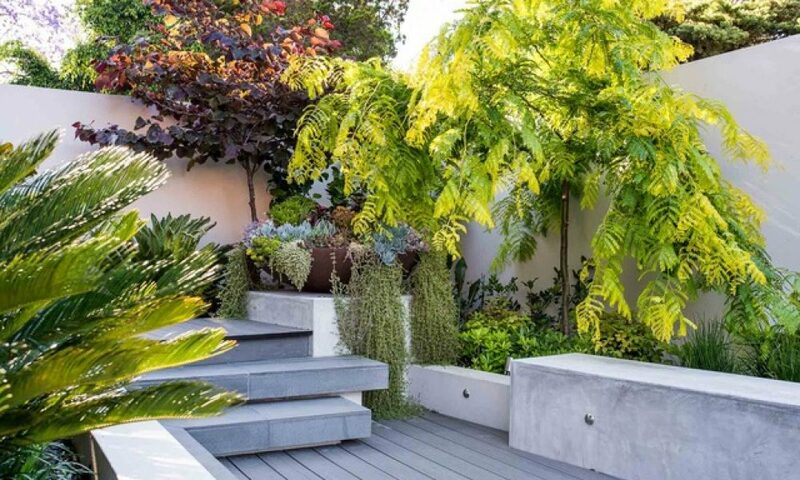 Each area creates a different mood from the colourful dry garden planting of the roof garden with the corten steel grass tree sculpture to the more subtle design and soft planting in the rear courtyard. My clients Sue and Greg were great to work with and they just love the finished result.